Even bad fundraising appeals are likely to generate some donations. However, the cost of those gifts might be foregone support from people who are alienated by, what Silverstein calls, “highly insulting” fundraising communications. In addition to not giving, people might unsubscribe to your emails. If you have a reason to mention the calendar in an appeal (e.g., you have a challenge grant that is about to expire), go ahead and leverage the information to create some urgency. However, you’ll still need to go beyond that to inspire people with the impact their gift will have. In other words, you still need to talk about your organization’s mission and the case for support. By the way, the same goes for your Giving Tuesday appeals. If you tell people why your organization needs their support and why it needs it now, you’ll cut through much of the clutter of other appeals and inspire more contributions to your cause. UPDATE (Jan. 16, 2019): Nick Ellinger, Vice President of Marketing Strategy at DonorVoice, addresses the issue of poor year-end fundraising performance despite the increase in email-appeal volume, Be sure to checkout his post at The Agitator: “Poor Year-End Giving and Email Volume.” Ellinger bases his post on his analysis of actual giving data. Outstanding insight once again. Personally, we almost NEVER consider tax deductability in making gifts. Indeed, the new tax law diminishes that dimension. Our considerations are primarily: our belief in the mission of the organization, our relationships with the people that are charged with promoting that mission, and their track record of success in achieving mission goals. Steve, thank you for sharing your perspective. 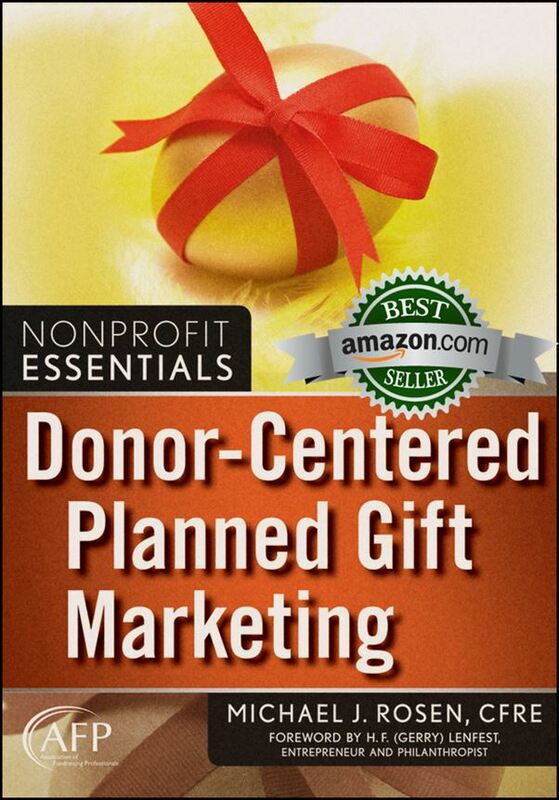 I suspect most donors make philanthropic decisions using criteria similar to what you and your wife use. The fact that so many fundraisers fail to recognize this or act on this knowledge is stunning and annoying. Michael, I began “professional” fundraising 38 years ago. Intense training, by a great organization with nothing but great intentions as to our mission and purpose. But combined with their training and my personality, I simply became a great salesman. Nothing wrong with that if you are a broker, real estate agent, cars, etc., etc., etc. But for all intents and purposes, I was a missionary, who just happened to serve in the US, not overseas. Despite the great reasons, and reasoning, this methodology, ultimately seared my soul and stole too much from me (and I can only blame myself for that). While there were some transition periods (2004 took a class on transformational vs transactional development), I think it was only 10-11 years ago, I began to really ponder and practice donor-centered fundraising and, of course, I’m still working out and discarding the “old way” techniques and mentality, even today. It’s been such an incredible joy to make this transition (wish I could have started out this way). It truly has extended my longevity in a career of development. So I can’t help but want to throw in my two cents whenever I’m reading someone else tackling this topic. Don’t do this because it’s smart. Don’t do this because some study says ultimately this raises the most money. Do this because it’s right, honorable, and truly un-selfish, others focused. Do this as a means of really serving (in my world we would even say ministering to) your community and those who live in it, all of them, not just the specific target audience of your nonprofit. You’ll serve more people, more kinds of people, longer and more fully, with greater impact, than the best “salesman trained” fundraiser ever could. Rick, thank you for sharing your thoughts and experience. Like you, I do wish folks would simply do the right thing because it is the right thing. And being donor centered is the right thing for the donor, the fundraiser, the organization, and those the organization serves. I just also want to point out that true sales professionals put their focus on their customers and potential customers; you could say they’re customer focused while fundraisers are (or should be) donor focused. I find there’s actually a great deal that donor-centered fundraising professionals can learn from true sales professionals (and vice versa). Over the years, some of the best fundraising education I’ve received has been from sales professionals rather than fundraisers. Unfortunately, just as the development field has poor practitioners and mercenaries, so does the sales arena. In any case, I think you and I share the conviction that professionals should be of service while passionately advancing a mission. My last 3 donor visits in 2018 included them complaining about “poor practitioners and mercenaries.” Organizations need to understand how much damage their staff and leadership can do, unwittingly. In a sense, that is a good thing for me and others who are exceptional practitioners. There is only so much pie to go around, don’t lose your slice. Patrick, thank you for sharing your story. You certainly found the silver lining. Well done! I totally agree with you. I love the statement “the calendar is not your case for support” although in my experience many nonprofit people don’t understand the concept of the case. When I talk about it, they often “repeat” back “the case study.” No, it’s not a case study! I learned what the case was my first week in a development job. Why aren’t people aware of its importance!?! Linda, thank you for your kind comment. I think the answer to your question is somewhat complex. I think there most certainly are ignorant and/or lazy fundraisers. However, I also believe there are talented fundraising professionals who know better but are forced to do things by people in positions of power who don’t know what they’re doing (e.g., CEO, CFO, board members). People should simply ask themselves, “Would I respond to this if someone sent it to me?” That might lead them to produce more effective appeals. Maybe. “The calendar is not a case for support!” Amen and Amen Michael! And don’t get me started on the appeal that said “…help us meet our goal…” I hate that one even more….as if I really care about your 2018 dollar goal. Keith, thank you for sharing your thoughts. You’re absolutely right! No one cares about a nonprofit’s budget or fiscal goal. Like you, I certainly don’t. What prospects and donors care about is what the money will accomplish. 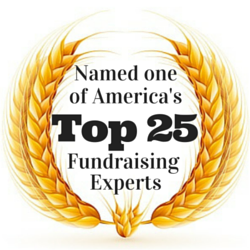 When organizations share that information, they position the donor to be a hero. That’s what inspires them to give. I love the idea of a more meaningful message than the calendar year end, and deeply appreciate the necessity of “If you tell people why your organization needs their support and why it needs it now, you’ll cut through much of the clutter of other appeals and inspire more contributions to your cause,” I’m curious what your advice is for battling organizational reliance on giving those last three days on December. They ‘re tremendously lucrative days, and I’d lose my job if I recommended we stop asking during that time. Hitting a calendar year-end budget goal IS why my org needs a donor’s support December 31 and not, say, January 2, but that need has developed over years of monitoring donor behavior. Is it simply a matter of removing time-bound urgency from these emails? I like that idea, but I’m curious what the answer to “why now?” is in that case. Perhaps we simply match funds in that window, so that it’s leveraging a more impactful gift, not the calendar, that motivates the gift within the time-frame the organization needs it. Thanks for letting me think out loud a little here, and thanks for writing a helpful post. Robin, thank you for your good questions. There are a variety of ways to create urgency. However, citing the approach of Dec. 31 isn’t one of them. Everyone already knows when the end of the year is. They don’t need us to remind them. Instead, here’s just one idea; you could create urgency with a challenge grant. You could also test a more robust start-of-the-year appeal; if you meet your goal earlier in the year, there will be less year-end pressure on the development staff as the year draws to a close. In your message, you wrote, “Hitting a calendar year-end budget goal IS why my org needs a donor’s support December 31…” I get it. I really do. Unfortunately, your prospects and donors do NOT care about your organization’s budget goals. What they care about is what meeting those budget goals will allow or what failing to meet them will lead to. So, you need to translate your organization’s budget needs into programs and services your prospects and donors will value. For example, “We need your support by the end of the year so we can acquire the next season of the XYZ program we know you love.” Or, you might say, “We need your support now as we prepare to produce the next installment of the ABC show.” Or, “Without your support, we might not be able to renew all of our children’s programming.” There are two advantages to creating donor-centered urgency: 1) You’ll get greater support. 2) You can create urgency at anytime of year. Remember, money is not the important thing. Instead, the important thing is what the money will accomplish. Donors want to have an impact; they want to be heroes. Show them how.